Giant fun for all ages! 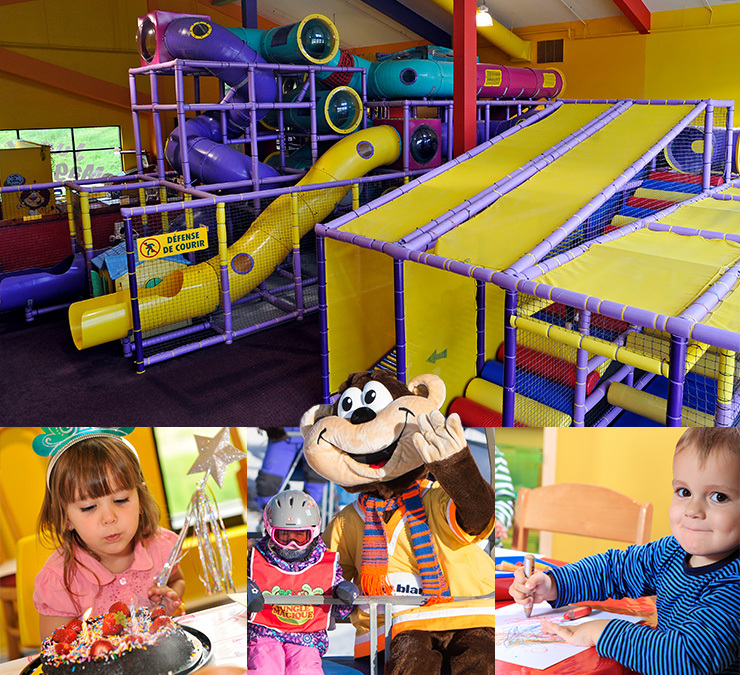 Jungle Magique is the Mont Tremblant region’s best indoor activity, but rain or shine, kids love to climb our 4-story play park with all its fantastic activities: tubes, slides, ball pits, zipline, play house, ropes, mazes, and more. Jungle Magique is THE place to celebrate. Your son or daughter will love chasing their friends up and down, working-up that appetite for pizza and cake. See details below. We have plenty of room for parents to sit and watch, do some work (FREE WIFI), or enjoy a coffee and a snack. For parents with toddlers, you are free to climb on in and crawl around yourselves.